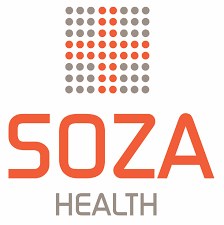 The SOZA Health Screen is a fast, accurate and non-invasive health assessment that focuses primarily on the cardiovascular, diabetic, respiratory, digestive, renal and nutritional statuses of a patient. The SOZA Health Screening helps to identify potential health issues early on in their development in order to encourage preventative actions to minimise the effects; therefore, leading to improved health and wellbeing. During your SOZA Health Screening, you will undergo a series of 8 non-invasive health tests lasting approximately 60 minutes. After your initial health assessment, you will be provided with a report of your health findings which is available for you to view online. The report will help to provide a picture of your overall health as well as information to help you to attain higher degrees of health and wellbeing. The SOZA Health Screen has an RRP OF £250. The AMI Clinic is offering the health assessment at an introductory, discounted price of £159 (a saving of £91). Alternative Medicine Incorporated Limited (AMI Clinic) is registered in England under the registered number 08503802, with its registered address at 23 Ash Walk, Kempston, Bedford, MK42 7NL.